This is an easy recipe which provides you with a complete meal. I used a light coconut milk and no added fat making it a very light and easily digestible dinner. In a heavy saucepan with a tightly fitting lid, bring the water to a boil. 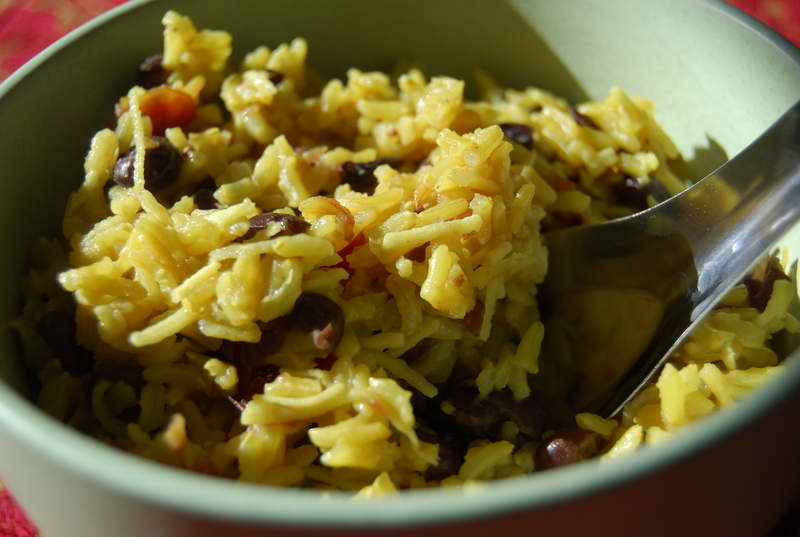 When the water boils, stir in the washed rice and all of the remaining ingredients except black beans. Return to a boil. Stir, cover, reduce the heat to low, and simmer. Just before the water is fully absorbed (about 20-25min) stir in the black beans. Cook about 5-10 min until the rice is fully cooked and all the water is absorbed. 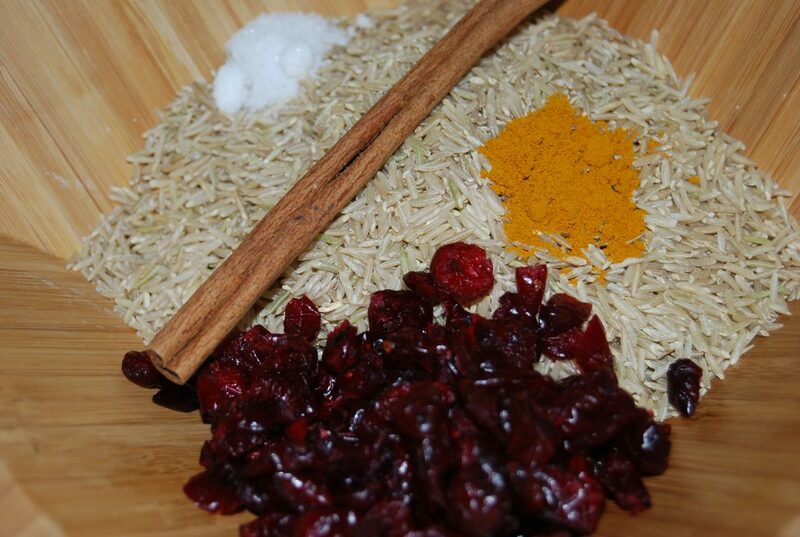 Remove the cinnamon stick, stir to fluff the rice and serve. This is a very light but satisfying meal. I love all your recipe ideas! I have been trying to cook with beans more ever since I read your protein ebook. 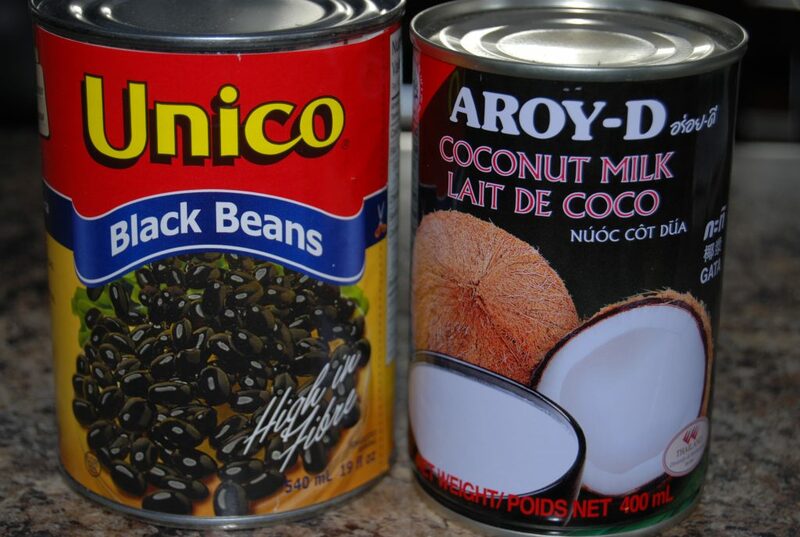 I’ve been buying them dry, and its time consuming to re-hydrate them, are there any drawbacks to getting the beans in a can as you did in this recipe? We tried this recipe the other night, it was delicious and easy to make, recommend it to all! Thanks Tommy! Zuzana is the one who comes up with all this good stuff …I’m a lucky dude.